The Association of Professional Translators and Interpreters of Catalonia (APTIC) is an independent, non-profit association. APTIC is open to professional translators and interpreters with an academic background or proven professional experience. Represent the interests of professional translators and interpreters. Contribute to the improvement of working conditions for translators and interpreters, and to guarantee their social recognition. Facilitate training and professional development for professionals. Offer resources and activities open to the public that benefit society as a whole. Encourage membership in professional associations and promote culture. APTIC was officially established on January 1st, 2009, as a result of the merger of the two general associations of translators and interpreters in Catalonia: the Associació de Traductors i d’Intèrprets de Catalunya (ATIC) and Traductors i Intèrprets Associats pro Col·legi (TRIAC). 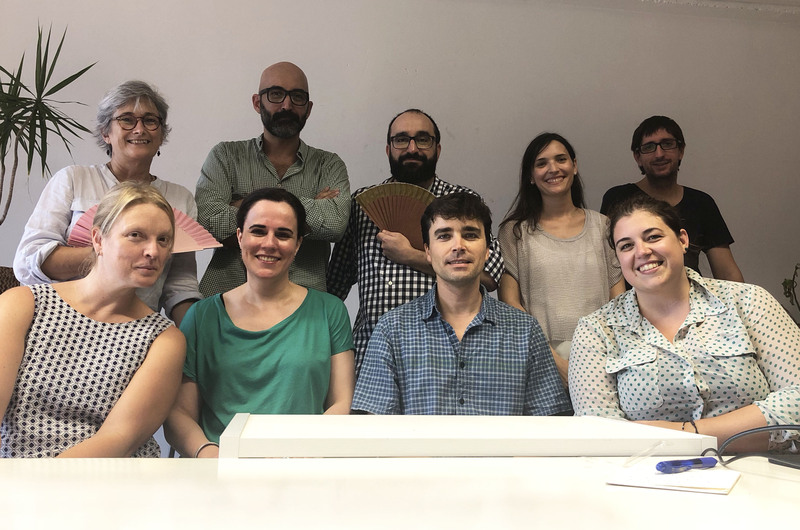 ATIC was founded in 1994 by a group of translation students who wanted to confront the lack of specific legislation and organization within this sector. TRIAC was born one year later with the main goal of creating an official professional association of translators and interpreters, allowing for the regulation of this professional activity in Catalonia. For ten years these two associations worked separately. However, in 2006 a new law regulating the activity of qualified professions and professional associations was passed, , ruling out the possibility of creating an official professional association of translators and interpreters. As the objectives of ATIC and TRIAC overlapped, the two associations decided to merge. This merger gave rise to APTIC, which was founded with over 500 members and more than ten years of experience representing the translating and interpreting community, organizing training activities and promoting the profession. As of mid-2015, APTIC had over 600 members. From left to right: (1) Gemma Rovira, Carlos Mayor, Miguel Sánchez, Montserrat Sardà, Christian Olalla, (2) Angelica Maria Ripa, Asun Renau, Joaquín Fernández-Valdés, Carmen Villalba. Organises talks, courses and other activities offered by the APTIC. Studies membership applications for applicants who do not strictly meet the admission requirements. Represents APTIC in the media and on social networks. Boosts APTIC’s presence in the publishing sector. Promotes and coordinates relations with other institutions. Represents APTIC in the Red Vértice network, which brings together different associations of translators, interpreters and editors in Spain. Compiles frequently asked questions about tax issues and publishes answers on APTIC’s website. Promotes and coordinates relations with FIT, Fédération Internationale des Traducteurs / International Federation of Translators. Reaches out to universities, institutions and companies to identify special offers and discounts for APTIC members. The Secretariat is currently in charge of this area. Draws up plans to apply for subsidies on behalf of the association. The Executive Committee is currently in charge of this area. Works with TERMCAT, the Catalan terminology centre. Translates and proofreads content published on the APTIC website. Represents APTIC in the academic sphere and helps students in Translation and Interpreting faculties understand our field better. Noemí Funakawa, Marta Morros, Christian Olalla, Asun Renau, Damien Zalio.